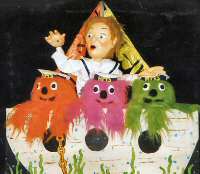 The Dandini Puppets are available to perform in Summer Season shows. 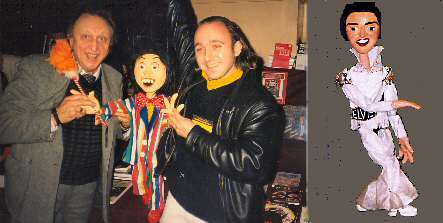 With a large selection of Celebrity Puppets they can appeal to all ages. For the adults Elvis Presley, Rod Stewart and Shirley Bassey are always popular while the youngsters applaud the Cheeky Girls or Beckham Boy. The Dandini Puppets have supported Star names in the past. The Dandini Marionette Company have several items in the repertoire designed for theatres. They have many years of experience touring schools and theatres with their highly visual productions. 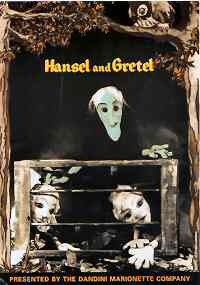 A production incorporating the music specially composed for Hansel & Gretel by Humperdink. The scenery and lighting effects are amazing. Click the poster for more information. 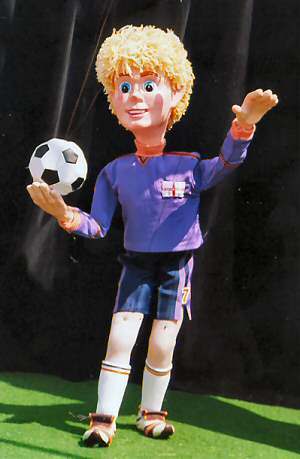 This is a marionette production using many different types of string puppet,mainly being half life size. 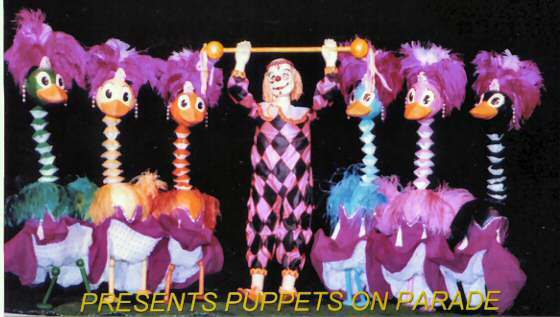 Among these puppets are a trapeze artiste, a roller skater, a duck which plays a whistle and lays an egg which then hatches, a boy who can juggle a football plus ultra violet puppets which glow in the dark - in all a cast of over 20 amazing trick marionettes. or click Fifi to take the tour.